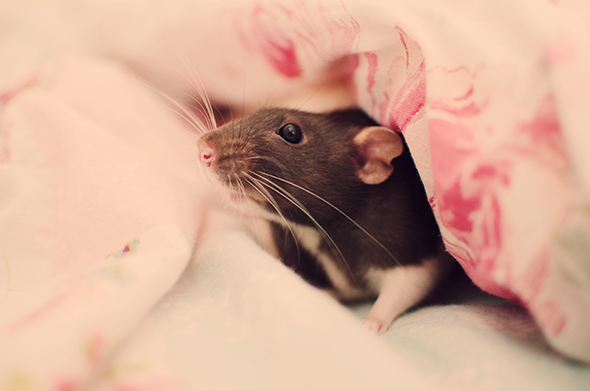 Here I am again, with a couple more pictures of my gorgeous ratties. They've gotten so big compared to when I first got them. I've had them for almost a year now, and they're the sweetest things! They have such different personalities, and they both have different flaws - Rolo likes to attempt chewing everything in sight, and Whiskers digs in the litter in her cage at night. They've only recently started snuggling up next to me on my bed when they're out of their cage, which is a really nice change to them running around and me having to watch their every movement! 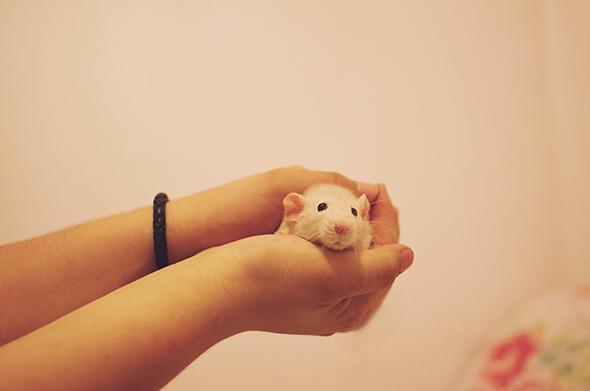 My friend has a pet rat called Sniffles, they're so cute! HIIIII whiskers and rolo! if ever you need a pet sitter, look no further. i love rats! my friend used to have one called atouille, as in ratatouille which was gorgeous, and she got so big, but that might be something to do with me feeding her popcorn when i went over. give them a huge cuddle from me. It's the tails that put people off, it's so sad because they're so lovely and energetic! I love rats! I have two of my own and they're seriously the best pets I've ever owned. Mohon ijin berpromosi. service Ac segala jenis merk. kami service Ac mencakup wilayah coverage seluruh Surabaya, Gresik, Sidoarjo. kami juga menerima jasa service perbaikan AC bongkar dan pasang AC. pekerjaan kami cepat, tepat, profesional, harga kompetitif di banding harga jasa luaran. Segera hubungi kami, dan kami akan datang kerumah Anda 24 Jam Non Stop.